BMIHMS is not just about hospitality education – the School is dedicated to providing students with a pathway to a successful working life. The opportunities available and the networks you create while studying at BMIHMS are designed to benefit you for the long term. In particular, students benefit from our extensive international network of relationships within the hospitality industry. Below is a sample of the many organisations we work with closely to provide both placement and graduate career opportunities. 14% of BMIHMS students complete placements overseas. The Graduate Privileged Partners program (GPP) is a competitive recruitment program connecting our highest achieving second year students with a select group of industry partners. It was established in 2007 in response to a skills shortage in Australia. At the time, our Leura campus was inundated with requests from the industry requiring staff. BMIHMS used this demand for students as an opportunity to not only enhance our teaching and strengthen our curriculum, but also develop student confidence in the workplace. The GPP provides a unique opportunity for the hospitality industry to recruit our top graduates. With strict criteria for academic performance, practical skills training and industry experience and evaluation, successful candidates are selected and recommended to industry partners based on their suitability for corporate management traineeship programs upon graduation. This process ensures a strong relationship between students and potential employers, far beyond the normal interview process, and results in greater certainty for both parties about commitment and quality. The GPP is conducted over several months, starting in a student’s second academic year. The student will undergo personal interviews, familiarisation and induction sessions. Our industry partners make the final selection to fill positions in their graduate and corporate management programs or for other roles with their companies that provide secure career growth prospects. Whether undergraduate or postgraduate, BMIHMS students always have regular access to hospitality industry professionals. Students also have the opportunity to network with our Industry Partners at annual expo events held at both the Leura and Sydney Campuses. “We are very excited to be part of the Graduate Privileged Partners program as it formalises the long relationship we have held with the BMIHMS. Click on the logos below to find out more about the international brands we work closely with to provide our students with career opportunities. Accor has 11 hotel brands, which cover every segment from luxury to economy accommodation. With over 3,500 hotels in 92 countries, Accor has 24% of its rooms in the Asia-Pacific region. As a partner of Accor, BMIHMS students have the added benefit of the opportunity to gain entry to the Accor School of Excellence. Planet 21 is Accor’s sustainable development program, placing sustainable hospitality at the core of the company strategy. This program operates under five core values of innovation, a spirit of conquest, performance, trust and respect. Four Seasons is a luxury brand, with 92 properties in 38 countries. It’s a Canadian company that started in 1961 with one property. The focus of Four Seasons is in setting the standard for luxury travel around the world through commitment to its people, passion for service and continuous guest-service innovation. In 2014, the organisation, introduced the Four Seasons Jet, offering private round-the-world journeys to its hotels and resorts. Hilton was founded in Texas in 1919, and has grown to consist of 10 brands with 4,100 hotels in 92 countries. It is the largest full service hotel brand in the world and has an award-winning customer loyalty program, Hilton HHonors. Hilton’s focus is on being the first choice of guests, team members, and owners alike, through its company values of hospitality, integrity, leadership, teamwork and ownership. Hyatt was founded in Los Angeles in 1957, and now consists of 554 properties in 47 countries. It’s 10 brands range from full service hotels and resorts to select service and extended stay accommodation. Its mission is to provide authentic hospitality by making a difference in the lives of the people it touches every day, including associates, guests and owners. The Hyatt Gold Passport is its customer loyalty program, offering return customers exclusive benefits. IHG has 9 brands with 4,697 hotels in almost 100 countries, covering every segment from economy to luxury accommodation. Its mission is to create great hotels that guests love. 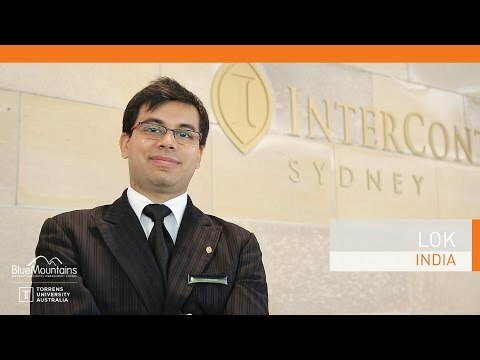 It operates the IHG Reward Club customer loyalty program, which was the first and still remains the largest loyalty program in the hotel industry. As a partner of IHG, BMIHMS students have the added benefit of being able to enter the newly created IHG Academy. Marriot was founded in 1927, and today has 18 brands operating 3900 hotels in 72 countries with accommodation ranging from economy to luxury. It operates under 5 core values: put people first, pursue excellence, embrace change, act with integrity and serve our world. In 2015, Marriot’s, Ritz Carlton brand will return to Australia with a new property in Perth. Sofitel is a French luxury brand, which is part of the Accor Group. It operates 130 properties in almost 40 countries. Each property is carefully created with designers, artists and architects to offer an experience of French elegance combined with the best of local culture. Starwood has 9 brands, and nearly 1200 properties in 100 countries with accommodation in the select-service, upscale and luxury market segments. The three shared values or promises Starwood operates under are: go the extra step, play as a team and do the right thing. Starwood has a commitment to achieving a 30% reduction in energy consumption and 20% reduction in water usage by the year 2020. The group’s core businesses are in the integrated resorts sector. In Australia, Crown owns and operates two of Australia’s leading integrated resorts, Crown Melbourne Entertainment Complex and Crown Perth Entertainment Complex. TFE has 5 brands across 70 hotels in Australia, New Zealand and Europe. It offers serviced apartments, economy and value hotel accommodation. TFE is involved in the development, construction and operation of hotels. Its mission is to be the place where people want to stay. The Star Entertainment Group is an ASX 100 listed company that owns and operates The Star Sydney, The Star Gold Coast and Treasury Brisbane. locations in Sydney, Brisbane and Gold Coast. “The program gives you a huge incentive to perform well, both during school and on placement, in order to access the program. It is highly sought after among the student body”.